When I decided to change my line of skincare products early this year, one of the things that I first noticed about VMV Hypoallergenics products was their packaging. 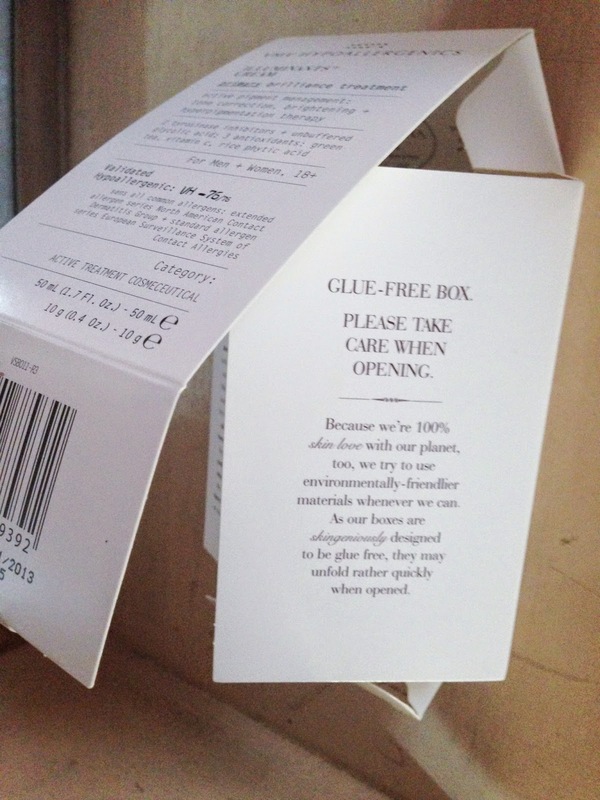 They came in elegantly-crafted glue-free boxes that made me just want to keep them. After some Googling, I learned that there's more to these boxes than what meets the eye. VMV uses soy-based ink printing, 100% post-consumer waste and "environmentally-friendlier" components. Later, I was informed that everything that VMV sold was indeed reusable... and they reward their customers with a Club VMV point for every bottle/container and packaging that is returned through their stores! For me, that gives me more reason to love VMV for not only bringing skintelligent care to their customers, but also for involving them in their eco-friendly initiatives.